This is either the third or fourth installment of my life post cutting the cord. The sojourn thus far. When I moved into my studio apartment in NOV2010, I wanted to make a break from a certain cable company, which shall remain classless. The arsenal of weapons in my quest for fleeing corporate media dependency: 2009 MBP Pro 13″, iPad, iPhone, 42″ LED, an HDTV indoor antenna, and an Apple TV. My software: HuluPLUS, MLB.TV, and a podcatcher. 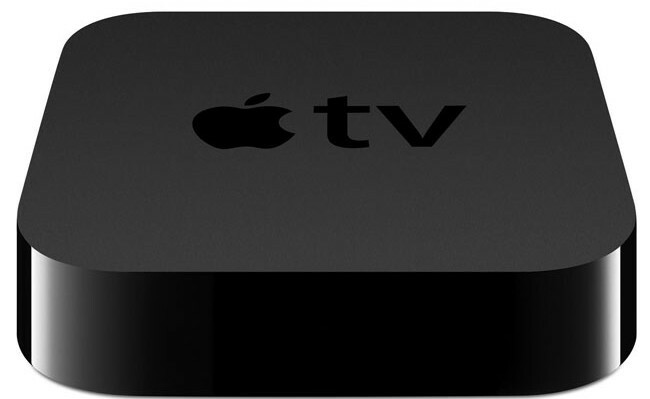 Could AppleTV’s firmware update further stoke my defiance? So, does the latest firmware update move me closer to media Nirvana? Apple TV 5.1 brings along a parcel of updates: Shared Photo Streams, AirPlay, iTunes account switching, Trailers, Screen savers, Subtitles, Network configuration, and the ubiquitous Stability and Performance enhancements. And the “official” unveiling of HuluPLUS and Trailers for AppleTV has been finally announced, even though they have been there for months. ScreenSavers has been upgraded to MacBook status, allowing you to pick from several catalogs (including your photos/Shared Photo Stream, naturally). There’s also the addition of several slideshows, including Sliding Panels and the hypnotic Origami (absolutely spellbinding on a large screen). Plus the aforementioned channel additions, AirPlay, and Subtitles. But probably the biggest changes involve iTunes Account Switching and Network Configuration. With IAS, you can do just as it says – pick up from any of your iTunes libraries with a mere click. And with NC, you can really drill down into personalizing your layout by utilizing advanced networking options and using configuration profiles. Also, kudos to HuluPLUS for bringing badges to their app. And finally, you no longer have to mark viewed podcasts as watched. Now, when you’ve finished with an episode, the “unwatched” blue badge is automatically removed. And for reasons unknown, even though the You Tube app has been removed from iOS 6’s default apps, it still remains a channel on AppleTV. Thank you, Apple! BONUS: To make your ‘media workflow’ easier, Apple has made it possible to re-order icons on the second page by holding down the select button on your remote. My pictures will never be good enough to use as a screensaver – EVER! All-in-all, this upgrade may seem just one more step or more likely two. But I think that this update demonstrates that the future of AppleTV is not necessarily in adding a monitor. In conjunction with iCloud, you now have a $99.00US Home Theater PC.